Anyone who’s ever laid eyes on me will tell you that I’m not one to follow fashion. There’s no flamboyance to the clothes I wear, no intricacy to the way (what’s left of) my hair is styled; heck, I don’t even bother to shave half the time. That’s probably why, when it was suggested to me that I might want an ultra-fashionable SUV as my family car, I was having none of it. 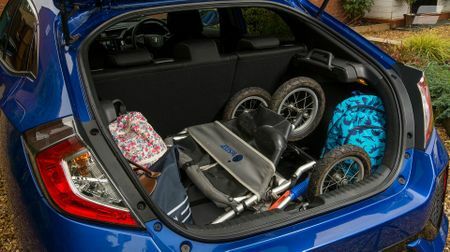 Yep, SUVs provide all the space and practicality that a family needs, but with a lot more style than your average hatchback or estate, and that’s why they’ve become so immensely popular over the last few years. However, that popularity also means that they’ve become immensely common. Being unburdened by the desire for style, I decided not to do what everyone else does and procure myself a faux-by-four the very instant I have a child or two. No, instead, I reasoned that if the motoring industry sees fit to call something a ‘small family car’, then it must, surely, be suitable for a small family. And with my better half Anna, my three-year-old son Felix and my 18-month-old daughter Bess, that’s exactly what I have. 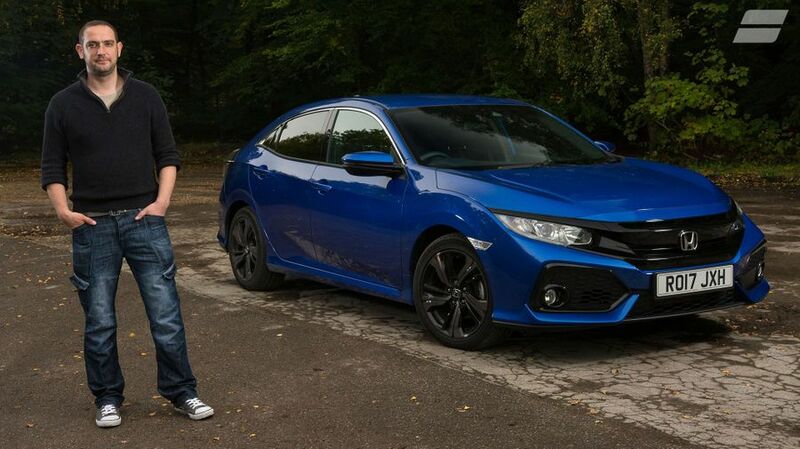 Enter the 10th-generation Honda Civic. And I can honestly say that the last six months with the car have been fab. 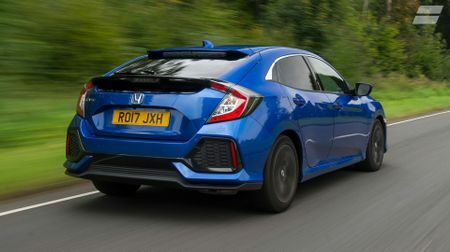 Yes, I admit, a similarly-sized SUV – or for that matter, estate or MPV – would’ve been a bit roomier and more versatile, but the Civic handled everything we ever threw at it. The boot had enough space for our massive double buggy, along with all manner of change bags, toys, wellies, bikes and scooters, all at the same time. Folding the seats down also allowed it to do a decent job on weekend dump runs, as we found when high winds bent our fabric garden gazebo in the wrong direction, snapping a number of structural components and rendering it utterly useless. The next day, when we had to get rid of the lengthy leftovers, they fitted into the car with ease. The passenger compartment was also impressively roomy, allowing the kids to sit comfortably in their child seats without the front seats getting in the way of their feet (a relief for us all, because nobody likes the back of their chair being kicked constantly). Granted there were a number of ways in which the car could’ve been more practical, but overall, it suited our needs just fine. The Civic was a pleasure to live with in other ways, too. 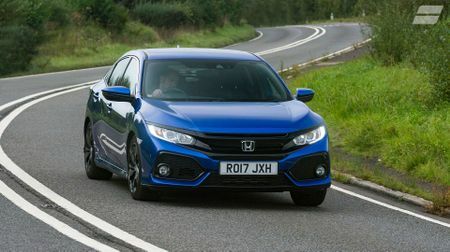 It’s a great car to drive, with agile handling, a comfortable ride and a punchy 129 horsepower turbocharged petrol engine. Our SR-trimmed car also had masses of kit – both in terms of luxury and safety – and even though we experienced one or two reliability issues, the customer service we experienced in getting them seen to was absolutely spot-on. True, no car is perfect, and the Civic wasn’t without its limitations. The looks are rather fussy for my tastes, and the interior – while spacious and sturdily built - does feel rather dark and drab. 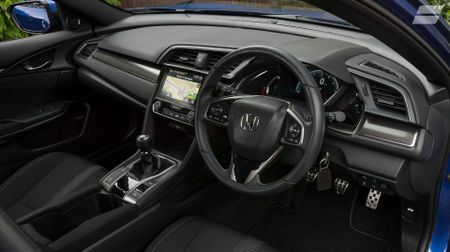 The touchscreen infotainment system is awfully fiddly and the fuel economy figure of 40mpg I eventually ended up with was really disappointing, and a long way short of the 55mpg suggested by the official figures. But would these few misgivings prevent me from recommending it to another small family in my position? Not a chance. 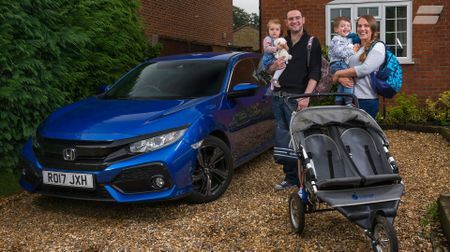 The Civic is a great all-rounder, and one of the better cars in the class for practicality, making it one of the most family-friendly. If you want to plough your own furrow in life, you could do much worse than put your family in one of these.